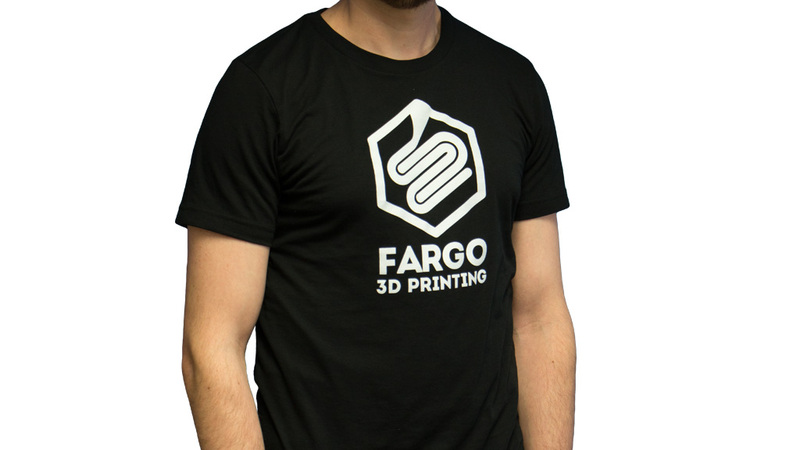 Rock the new black Official Fargo 3D Printing T-shirt and show your love of all things Fargo 3D Printing! The full official Fargo 3D Printing logo is on the front, and a smaller Fargo 3D Printing icon is on the back. 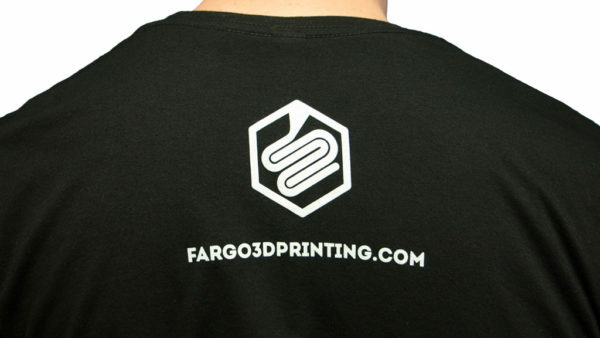 The t-shirt is a Canvas 3001 shirt in 50/50 black. It is soft, slightly stretchy and super comfortable.